Back in September 2004, Warner Home Video released the first season of Everwood on DVD. After that, because of low sales, all plans for future releases were put on hold. Finally, the studio decided to try again and released season two in June 2009. Season three followed in June 2010. There were plans to release season four this June but that release has now been delayed — for a very good reason. Due to fan requests, the studio has decided to include deleted scenes as well as the alternate ending for season four. Had Everwood been renewed for a fifth season, this alternate ending would have been shown and set up the next round of episodes. The season four set is now scheduled to be released on August 2nd and will include all 22 episodes as well as the various deleted scenes. It will retail for $39.98 but will be much cheaper if you purchase it from places like Amazon . 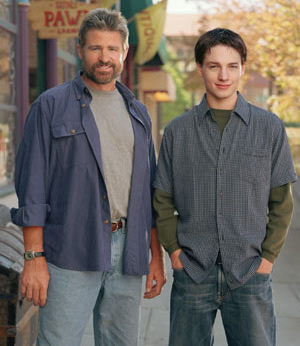 Everwood stars Treat Williams, Gregory Smith and Vivien Cardone and follows a family as they rebuild their lives in the Rocky Mountain town of Everwood. What do you think? Are you looking forward to the release of Everwood: season four on DVD? Does the inclusion of these extras make you want to buy the set? Everwood: Did Enough People Watch the Series Finale? Everwood: Can We Save the WB Drama?